Today's aul sayin is a favourite of my mothers. 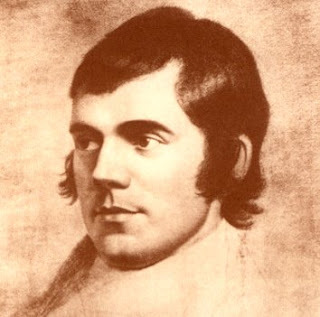 Those of you who are familiar with Rabbie will of course have recognised this, as a local version of the first 4 lines of verse five of Burn's, Epistle to a Young Friend the version that appears in most books of Burn's poetry is given below. I love this piece of advice. To me encapsulates the Ulster-Scots ethos of stern, practical, level headedness. Burns is full of gems like this. If your are unfamiliar with his work there are many free PDF copies of his poems and songs online. Many a young man leaving home to make his way in the world would --- da weel ta heed Burn's guid advice.